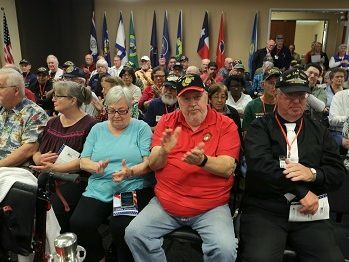 Carlsbad, CA … There was not an empty seat or, at times, a dry eye in the house at Veterans Association of North County’s (VANC’s) spacious Oceanside facility on March 30, 2018 when Hospice of the North Coast (HNC), in collaboration with VANC, presented its inaugural “Welcome Home, Vietnam Veterans” Celebration. The 325+ people in attendance declared the highly anticipated event a resounding success! 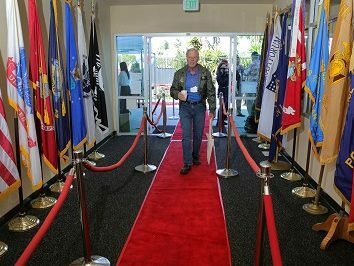 After beginning to return to America one-half century ago often to jeers instead of cheers, on this day Southern California vets from diverse military branches finally received their “parade” as they entered the facility, many with the assistance of canes, walkers and wheelchairs, on a flag-bedecked red carpet. 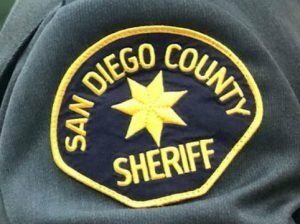 They were greeted by a band, a cheerful “Welcome Home” banner, the warm applause of guests, including local politicians, and salutes from fellow servicemen and women. Handshakes and hugs abounded among the maturing vets, several of whom were proudly arrayed in service-related attire. Medals, mementoes and memories, some painful, were displayed and shared. As a particularly powerful and poignant reminder of the valiantly-fought, controversial conflict in a distant land, a special table with an empty chair represented Americans who did not return home alive from the Army, Marine Corps, Navy, Air Force, Coast Guard as well as civilians. Several veterans groups offered resource booths. The event’s highlight was a compelling keynote presentation by retired, highly decorated Marine Corps Brigadier General David M. Brahms, who served with the 1st Marine Aircraft Wing in Da Nang and who has been a staunch advocate for veterans. 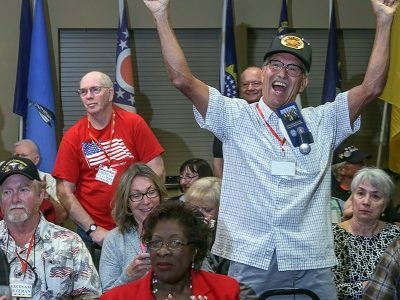 He delivered an encouraging message of self-acceptance to Vietnam vets, leading them in a chorus of “I am proud of who I am and what I did” that promoted emotional bonding and intense reflection upon their lives. While bringing truth and recognition to the day, Brigadier General Brahms enlivened his presentation with a surprise “striptease,” light-heartedly shedding his suit jacket, dress shirt and tie to reveal a “Good Morning, Vietnam!” t-shirt. The crowd went wild, making the celebration even more memorable. HNC wants all veterans and their families to know they can rely upon Hospice of the North Coast for veteran-centric programs and support. As a national We Honor Veterans (WHV) organization partner, HNC guides vets to appropriate services and resources as it accompanies them on their path toward a peaceful ending. This emotional event was appreciated by our Vietnam Veterans including my husband Don Jones. A room full of appreciation and an amazing talk from Brig Gen Brahms. He rocked the room with his strong exhortations for our veterans to be proud of their service. Thank you, Vietnam Veterans!